Fewer gestures give you more confidence when buying a new or used Hyundai than its standard 5 year / 150 000km warranty. It’s a bit like saying – “we believe in our product and so should you” and as most Hyundai owners will attest, it’s mostly hassle free motoring with Hyundai. The growing popularity of the Hyundai brand, especially in the smaller car segment with its i10 and i20 variants (which replaced the trusty Getz) have seen the almost meteoric rise of Hyundai as a brand that can be relied on. Whilst the Korean manufacturer can often be seen as being “vanilla” (a great flavour actually) – it may be the Toyota quality you can rely on at a more affordable price. 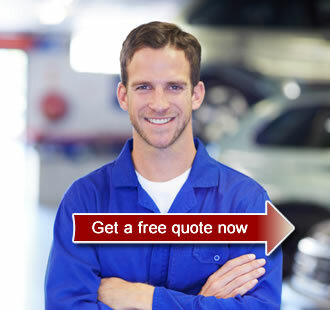 Just ask any Getz owner – a solid little car that has been providing great service for more than a decade. But, all good things come to an end, and that means that sooner or later your 5 year/150 000km Hyundai warranty will expire and you will be left without a warranty plan to fall back on. Or you could get an extended warranty for your Hyundai and keep your favourite Tuscon, iX30 or Sante-Fe going strong from Warranty Extender. As of the 1 February 2016 – Hyundai has upper the standard again and is now offering 7 year/200 000km manufacturer warranty on the majority of it’s vehicles (see website for exact details), provided the vehicle is serviced and maintained at an Authorised Hyundai Service Centre. That really is an incredible testament to the kind of quality vehicle you can expect. Well done Hyundai! Remember, that you can keep your older Hyundai in good order with the Warranty Extender product available over here. So if you have a 2008-2013 Hyundai that needs an aftermarket service plan or warranty, Warranty Extender has a plan for you!